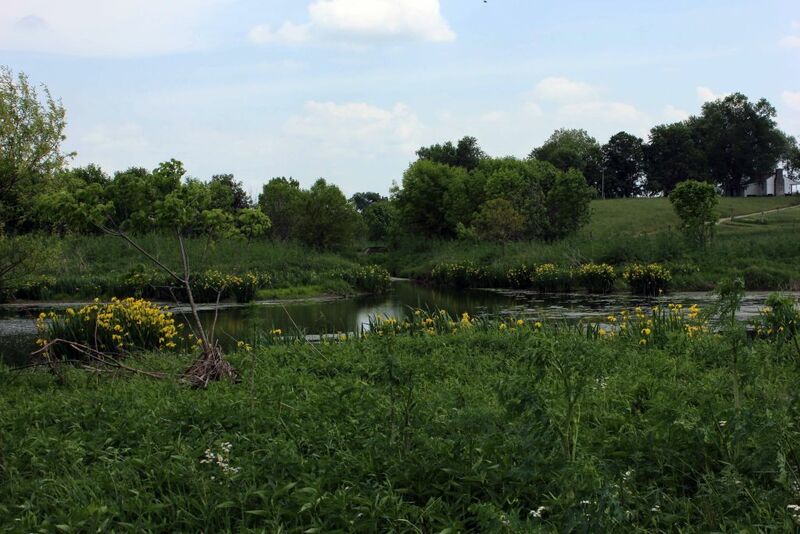 This is my current favorite place, a wetland I have been developing on my farm in central Kentucky (USA). It has everything and gets better each year, plankton (photomicrography is a major interest of mine), mammals and birds, and wild and native plants (I collect seeds and propagate them, the yellow iris, very pretty, are in fact from across the Big Pond, not native, I like them, many don't!). My farming neighbors, who equate Godliness with a mowed pasture, sometimes wonder what I am up to! Interested in others who are into conservation....and interacting with the world they develop. Looks like an absolute treasure trove for a microscopist. Berle, welcome to the forum! Yours is a dandy wetland. And I know from experience that having such a wetland near home is, to a naturalist, a little slice of heaven. The things you see and hear! One of the businesses I’m involved in is wetland consulting, so I’m always happy to hear about someone’s wetland project. How did you create yours—is it an impoundment on a stream? The stick in the left foreground of your picture seems to have flotsam deposition from a high-water event, flowing from image right to image left. So I suspect that you took this picture while standing on the stream’s primary floodplain. Is this correct? But I'd be one of those who question the prominence of the alien yellow irises, which I take to be Iris pseudacorus. Agreed, they are very pretty. But Kentucky has several native—and even threatened—species of iris. You have a grand opportunity to host these native species in and around your wetland. The native species also strike me as pretty, though they are blue, not yellow. Native species listed for Kentucky include Iris cristata (crested iris), Iris verna (dwarf violet Iris), and Sisyrinchium angustifolium (blue-eyed Grass). I’m not certain whether any of these species would thrive as a feet-wet emergent, as the yellow irises do. But S. angustifolium certainly takes to wetlands, and I know places where I. cristata (threatened, here in Ohio) grows on ground kept moist by upwelling seeps. Mike, Chris...thanks for the comments. Chris, this is a rather dynamic creek (given the size of its watershed) which was dammed with a short slot dam about 50 years ago and is largely filled in now...about 2 feet water max. We had a flash flood this spring, thus the trash, literally everything here was under water. Has certainly scoured out the micro plants and animals...have yet to see what it has done with the other plants though the iris, as you see, are hanging in there. As farmers we have buffered all watercourses with various matching fund grants through USDA and EPA, like this and very intermittent. The result has been fascinating to watch. Those yellow flowers look like daffodils, don't they? I'm glad some people are still willing to set aside some land to go wild with.